Since Day 1 of the release of Windows 10 I have been enjoying it very much on my PCs—so much that I could not wait for it to be unveiled in stable, non-beta form for my beloved Windows phone. 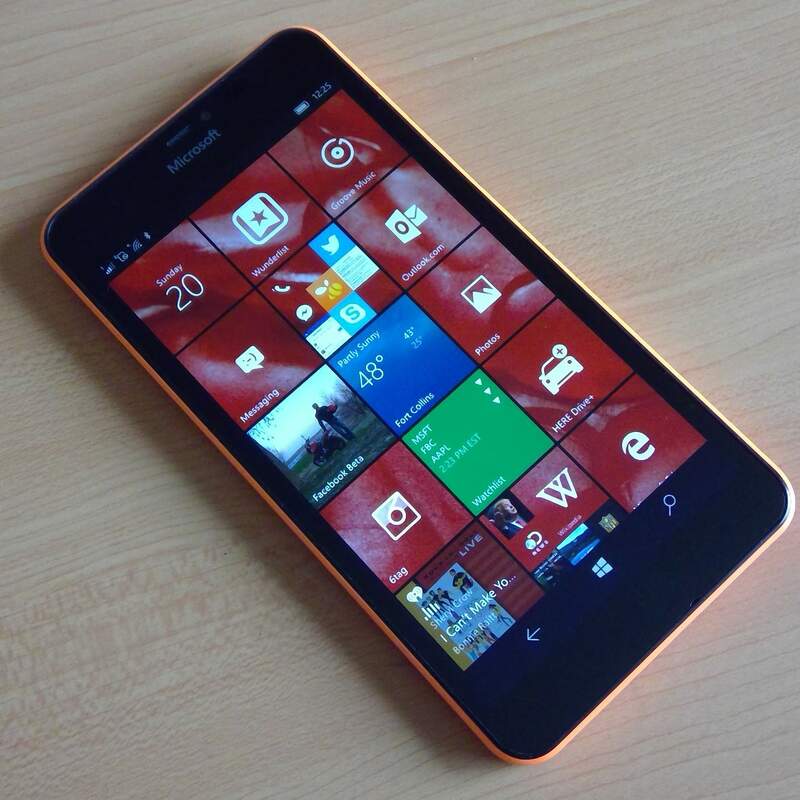 Microsoft had initially promised the release of Windows 10 Mobile for Windows phones running Windows Phone 8.1 before Christmas, but later indicated that it would not come until January February mid-March 2016. While that was a tad disappointing—although perfectly understandable considering all the improvements made in W10M and last-minute bug squashing—that merely prompted me to go ahead and install the latest preview build of Windows 10 Mobile for Insiders. This build (10.0.10586.36) was actually more recent than the version of Windows 10 Mobile that came on Microsoft’s latest new phones—the Lumia 550, 950, and 950 XL—so despite the Insiders tag I was confident that it was reasonably stable, smooth, and complete. In fact, it was! Here is a video I made comparing both the stock apps and general flow of Windows Phone 8.1 against Windows Mobile 10 on my Microsoft Lumia 640 XL in which you can see for yourself. Multi-tasking is better. Apps stay in memory longer and are quicker to resume. Windows 10 Mobile Build 10.0.10586.36 seems super stable , even more so than Windows Phone 8.1, in my experience so far. It also seems faster, particularly because it can keep apps open in memory longer before tombstoning them. I have experienced no reduction in battery life. The battery life on my Lumia 640 XL remains astounding: usually 1-2 days with moderate use. It makes better use of screen real estate. You can even view some apps (e.g., Outlook Mail client) in landscape mode and it will offer dual panes like on the PC. However, it sacrifices the large attractive typefaces that defined the Metro design language and Windows Phone 7 & 8. Many of the apps, particularly the Microsoft ones (Outlook Mail, News, Weather, Translate, Money, etc.) are Universal Windows Apps (UWA) that are the same as on a Windows 10 PC. This fits into Microsoft’s vision of one experience, on all your devices. These apps all move away from pivot controls employed in Windows 7/8/8.1 and instead use hamburger menus for less-used functions. (They still use ellipses for more-used functions.) I think I prefer Windows 10’s navigation over the old Windows Phone pivots which—while beautiful—were too much like “mystery meat navigation” and was confusing at times (particularly in the old xBox Music app). In the Photos app, you can there are now options for sharing Living Images: Share as Photo or Share as Video. The excellent stock Camera app seems to shoot faster, especially with Rich Capture (which employs HDR) enabled. All advanced features work in Windows 10 Mobile that worked in Windows Phone 8.1. So far I have successfully tried projecting (casting) to a monitor and TV through a Microsoft Wireless Display Adapter, connecting the phone to a PC as a USB storage device, and using Bluetooth with a car stereo and Microsoft Band 2. Glance, double-tap to wake and SD Card support work as expected. Wherever you can use the keyboard, you can use voice dictation instead. I tried it to compose a whole email and it worked well. One-handed use mode: hold down the Windows button and the screen shrinks down to the lower half for use with one thumb. With Windows 10 Mobile, you can send texts through the phone using Cortana on a Windows 10 PC now. On the PC you just say or type to Cortana, “text [name of person] [such and such message].” Cortana will choose the recipient’s primary mobile phone number by default and you have her text a home or pager number, for example. You can email full-resolution photos now. In conclusion, Windows 10 Mobile (build 10.0.10586.36) is a worthwhile upgrade over Windows Phone 8.1. Even though you have to get it through the Windows Insider channel (with free registration), it is ready for primetime—at least on a Lumia 640 XL. I can also confirm that it works well on Maureen’s Microsoft Lumia 640 and my old Nokia Lumia 820, as I have installed the build on those phones as well. Update January 5, 2016: Windows 10 Mobile 10586.36 continues to work near flawlessly on the Lumia 640 XL. Update February 12, 2016: More iterations of Windows 10 has come including 10586.63, .71, .79 and .107. They all seemed to work fine on my Lumia 640 XL. I own a 640 XL for last 7 months. I insrltalled windows 10 not this version but it was having some issues with my quick acces key in the notification bar everything turned on automatically and drained my battery very soon than usual. I really appreciate your reviews. Should I try this update bcz this is my daily phone. I’ve had Windows 10 Mobile (build 10.0.10586.36) installed on my Lumia 640 XL for a whole week now and it has remained fast and stable with no battery life degradation relative to Windows Phone 8.1. I wholeheartedly recommend giving it a shot on your Lumia 640 XL!